Together we'll transform our school yard and enhance school life for all our children. Scoil Raifteiri is a bright stimulating school full of interest and celebration of learning. Our school yard........not so much ;-)! We're aiming to raise €5,000 to transform the outside environment of our school, creating a place the whole school community can be proud of. With €1,250 we'll install buddy benches in every corner of the school yard making sure that no child in Scoil Raifteirí feels lonely at playtime ever again. Reaching €2,500 we'll be able to create bright colourful playground markings all over the school yard. It will look great and more importantly inspire movement and play. The €3,250 mark will bring a facelift to the prefab buildings and rejuvenate the street furniture around the school. A bright creative environment for all of us to enjoy. At €5,000 we'll install attractive, welcoming signage and parent's display. We'll also develop an outdoor sensory area for the children to explore the environment in a calm, relaxing space. 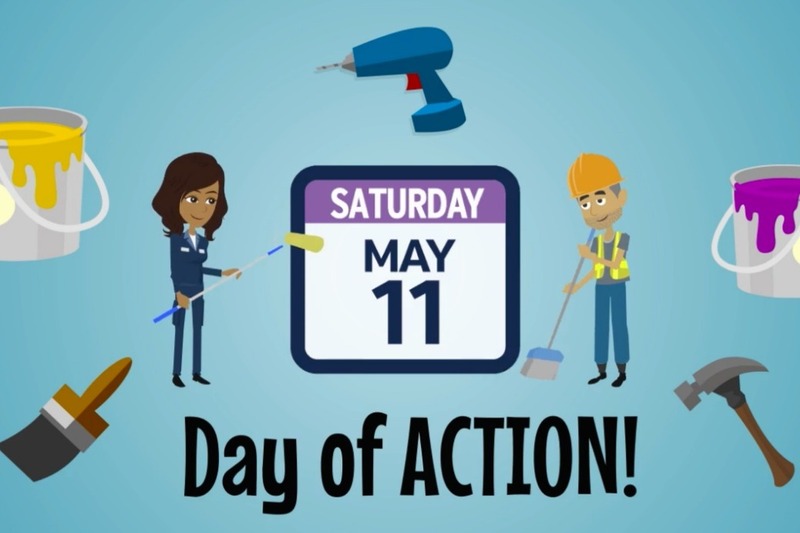 We're asking everybody to join a day of transformation and celebration on Saturday, May 11th. Imagine if we achieve this, imagine how proud our children will be!